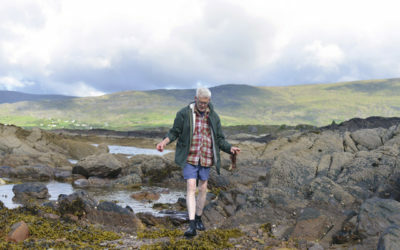 There can be few more pleasurable ways to acquire a spot of Latin than wading through cool, clear Atlantic waves off a southwest Kerry beach. 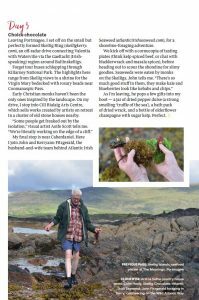 In checked shirt, shorts and neoprene bootees, our teacher has all the knowledge and enthusiasm of a David Attenborough and all the wide-eyed verbosity of inventor Doc Brown in Back to the Future as he wields a knife below the waterline. My final stop is near Caherdaniel. 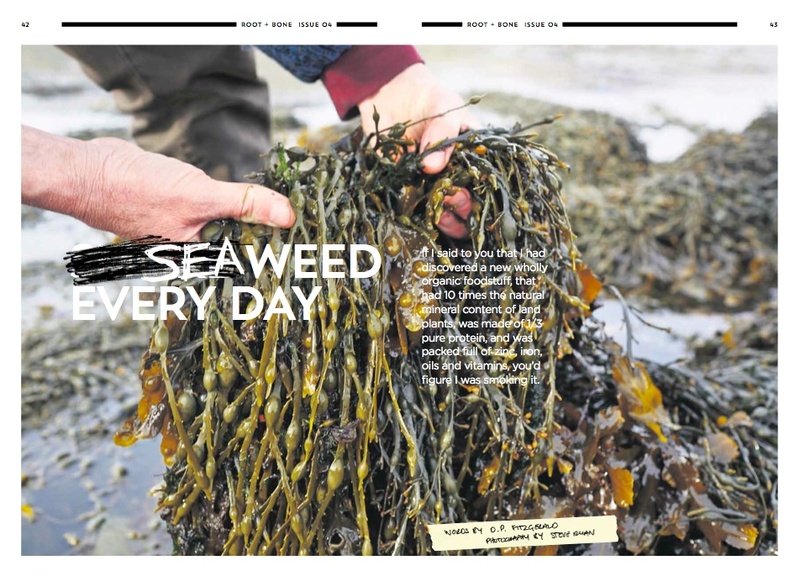 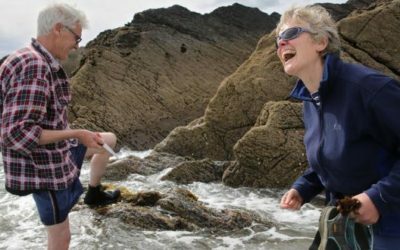 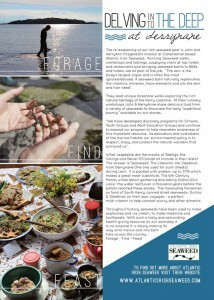 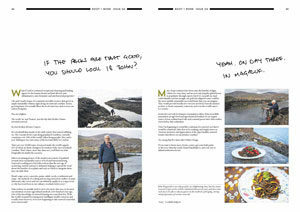 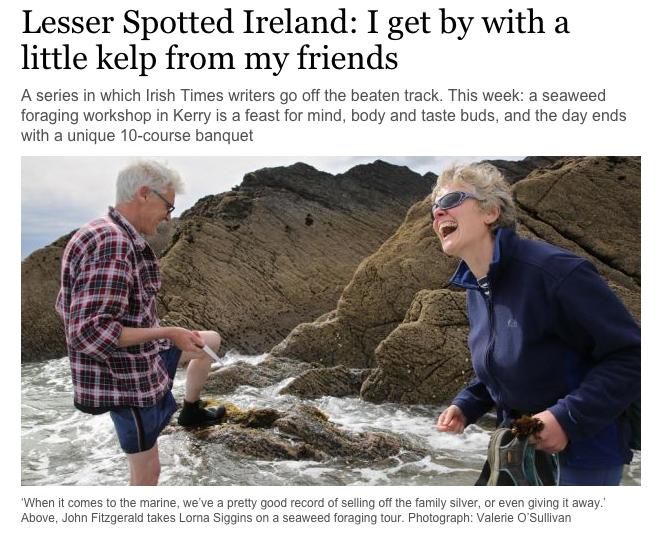 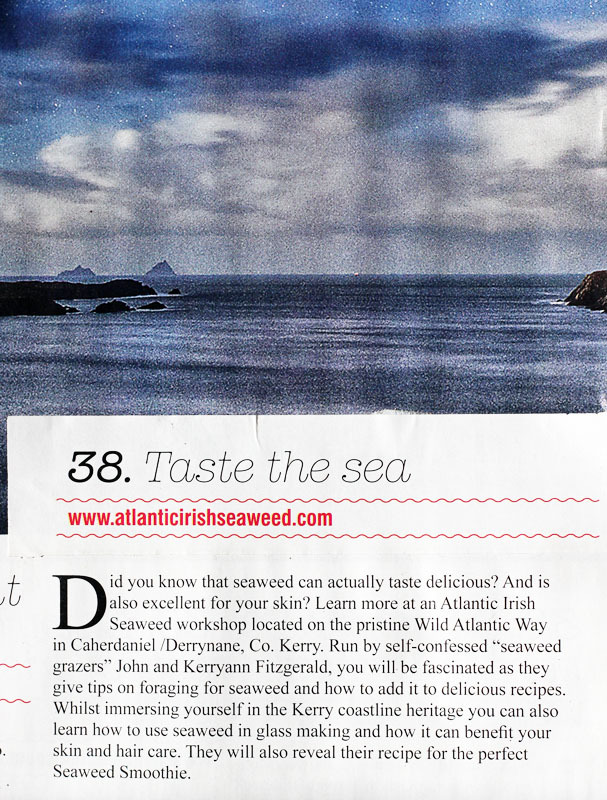 Here I join John and Kerryann Fitzgerald, the husband-and-wife team behind Atlantic Irish Seaweed for a shoreline-foraging adventure. 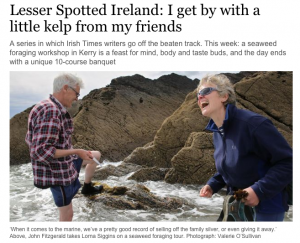 As I’m leaving, he pops a few gifts into my boot — a jar of dried pepper dulse (a strong smelling ‘truffle of the sea’), a bath pack of dried wrack, and a bottle of elderflower champagne with sugar kelp. Perfect. 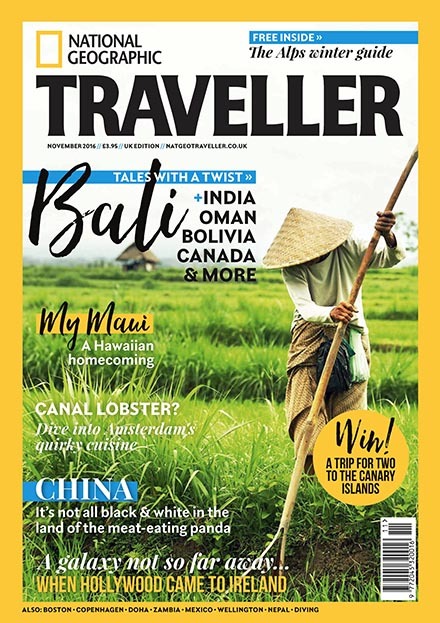 ‘It falls to John Fitzgerald, founder of Atlantic Irish Seaweed and self-professed “ageing punk” to medicine our self-indulgence from a beautiful beach in Caherdaniel. 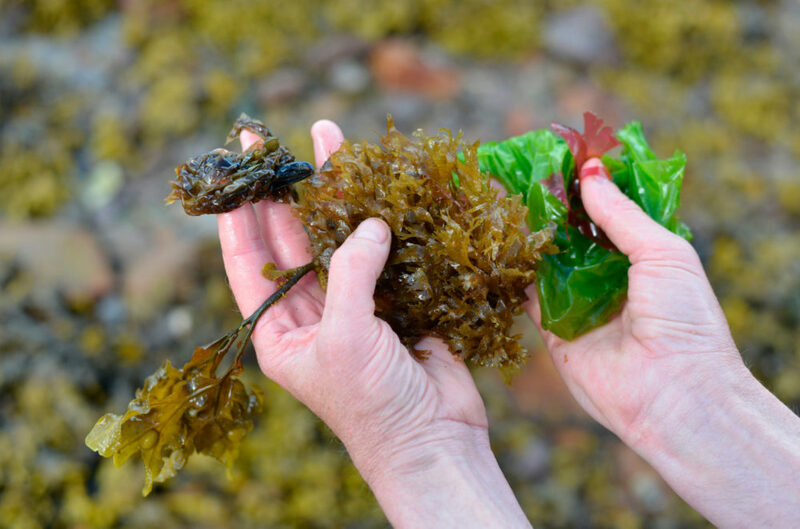 John and his infectious zeal take us through the wild bounty on our doorstep, singing the benefits to both palette and body of duileasc, sea lettuce and carrageen moss while cutting off fronds to taste.